Welcome to LL SC + English Drama! 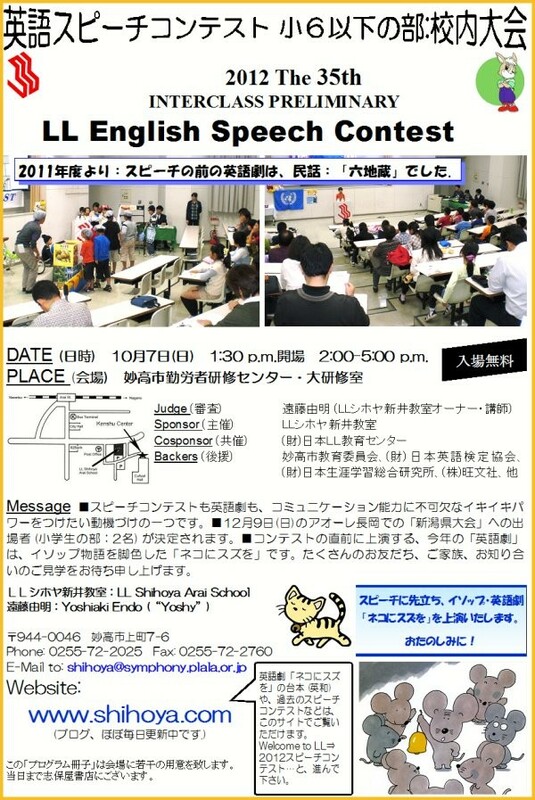 “#35 LL Speech Contest Interclass for Elementary School Students & under + English Drama: ‘Belling the Cat” is going to be held at Kin-ken Center on Sunday, October; from 2:00 to around 4:30 pm. 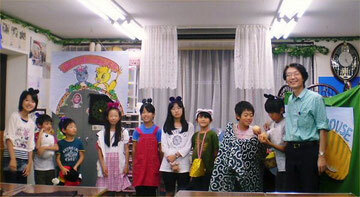 The order is “English Drama”, “Speech Contest” and “Commendation Ceremony”. BTW, between “English Drama” and “SC”, an LL boy-student who is in the 3rd grader of senior high school is going to perform “Telling a short funny story like rakugo style”. We are looking forward to seeing YOU there in the afternoon, where you could enjoy watching. Admission is free for anyone. There are around 20 programs in the site. 「#35 スピーチコンテスト・小6以下の部＋英語劇」のご案内は、You can see the information of “#35 LL Speech Contest Interclass for the elementary & under” HERE：ここを, クリックなさってください。：Click, please!